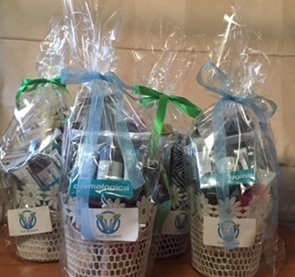 The aim of Just Because is to present two Pamper Packs per week to women experiencing challenging times within New Zealand. A Just Because Pamper Pack is a beautifully presented gift pack designed to spoil a woman struggling through a difficult time and in need of pampering. It comprises of a combination of beauty products, vouchers, decadent food and other items designed to bring joy to the face of a woman in need. Just Because Pamper Packs are for women experiencing challenging times. This could include new mothers, women suffering depression, isolation, marital problems, a woman in need of thanks who does so much for others; or simply women in need of something special during difficult times in their lives. Why I have started this charity? I have been involved in a similar project in Australia which started 9 years ago and is still going strong. I attended the Oprah Roadshow in December 2015, and came away wanting to give back to the Community. After much thought as to what I could do, I started this charity. I am a registered nurse, a wife and mother who has personally seen women struggling with life, and I’ve also been a woman in need at various stages in my life. I’ve encountered several road bumps including suffering from severe Post Natal Depression, several episodes of depression, raising a child with special needs, looking after family members with depression and suicidal episodes, dealing with the death of a best friend, and I am a survivor of sexual abuse and domestic violence. There were many days, weeks and months I struggled with life. I want women to know they are not alone and that people do care. How do women become nominated? Anyone can nominate a potential recipient using the online form below. All information received is confidential. How are Just Because Pamper Packs distributed? With the support of schools, community groups and businesses, the Pamper Packs are distributed to women struggling through difficult times. We hand deliver Just Because Pamper Packs to local recipients and also post packs throughout the country. Thank you for your nomination form!